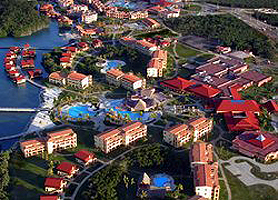 IBEROSTAR Cayo Coco hotel is an All-Inclusive resort in Cayo Coco in the Jardines del Rey archipelago of Cuba. Completely renovated in 2011 the hotel feels new in all aspects. The IBEROSTAR Cayo Coco is surrounded by a lush natural landscape and right on the beach, next to one of the finest sandy beaches in Cuba. The hotel offers both suites and junior suites accommodations, spa, gym, swimming pools, 10 bars and restaurants and various nautical and land leisure activities for children and adults. An All-Inclusive 4 star plus hotel in Cayo Coco which borders 5 star but maintain the great 4 star guest rate. Kids will enjoy the IBEROSTAR Cayo Coco thanks to its entertaining Miniclub, managed by professional entertainment staff who guarantee fun for the whole family. IBEROSTAR Cayo Coco offers both adults and children pools, separated by tropical gardens and landscaped foliage. Adults can also enjoy the night shows due to the hotels free babysitting service. For those of you who prefer a little activity there’s an onsite Spa, gym and outdoor sports area offering; Jacuzzis, massage professionals, medical care, beauty treatments, dance classes and step, aquatic sports and group games for all ages … Everything you need to come home feeling like new. All-Inclusive accommodations in suites. The quality IBEROSTAR Cayo Coco hotel offers all the comforts and benefits of a resort with suites and a complete 24 hour All-Inclusive plan: comfortable rooms, gastronomy from around the world with ingredients of the highest quality, domestic and international beverages, snacks and cocktails at any time and at any place plus all kinds of activities, shows and daily sports. Hotel Iberostar Cayo Coco is usually in very high demand and, as such, should be booked in advance. Our booking program allows reservations at Hotel Iberostar Cayo Coco without down payment or deposit which will guarantee your dates and also allows preferential modifications should your dates change in the future. Our booking process is unique because it shows the best rate from all of these for Hotel Iberostar in Cayo Coco Cuba and the types of rooms available. 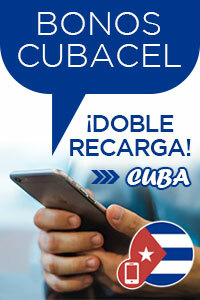 Our Hotel Iberostar Cayo Coco rate comparison is an industry first for Cuban Hotels. Once you’ve compared the rates, finalizing the booking at Hotel Iberostar Cayo Coco takes just seconds and an immediate confirmation is provided in real-time.